Rafinha scored in Lionel Messi's absence as Barcelona beat the Brazilian's former club Inter 2-0 in the Champions League to move three points clear at the top of Group B.
Clement Lenglet scored an own goal against former club Sevilla last time out but he almost found the net at the right end, his header brilliantly blocked by Handanovic's legs. Rafinha, making his fifth appearance of the season, wasted a clear sight of goal but he beat Handanovic with his next chance in the 32nd minute. The right-wing cross from Suarez was begging to be tucked away and Rafinha, who spent time on loan at Inter last season, provided a simple first-time finish. Matteo Politano missed a great chance to equalise in the 52nd minute when found by Mauro Icardi's cute backheel, but he blazed his shot over the crossbar. Suarez was proving a thorn in Inter's side and, when he wriggled through on goal, Handanovic had to make a smart block to keep it 1-0, the goalkeeper then denying Lenglet again. Philippe Coutinho almost extended Barca's lead but thudded a shot against the crossbar before Alba made certain of the points with a powerful finish after being sent through by Ivan Rakitic. And a watching Messi was able to relax in the Camp Nou stands, his team-mates getting the job done without him. 83- Goal! Alba secures all three points for Barca on the counter-attack. 32- Goal! Rafinha scores from close range! Barca take the lead! It's a special night in Barcelona! Now for Inter! Borja Valero comes into the side to replace Radja Nainggolan. Mauro Icardi returns to his former club. Team News! Barca first Up! Sergi Roberto returns at right back. Rafinha comes in for the injured Leo Messi! Welcome to the Live Updates of Barcelona Vs Inter Milan in the Champions League! Both sides have perfect records in the competition so far, winning both of their group games. Something will have to give tonight at the Nou Camp, and you can follow all the match action with me on the beIN SPORTS website. As is the style, I will keep you up to date with match commentary, Team news and the goals as they go on! It promises to be a wild ride! Two sides with perfect Champions League records face off on Wednesday evening as Barcelona take on Inter Milan in one of the standout ties from matchday three of the UEFA Champions League. As ever, you can watch all the action from the Nou Camp Live & Exclusive on beIN SPORTS CONNECT. Barca breezed past PSV 4-0 in their opening group B game, despite being reduced to ten men when defender Samuel Umtiti saw red ten minutes from time. The Catalans scored four in their second group game, with Leo Messi inspiring his side to a 4-2 win over Tottenham. Messi has been the creative hub of the side in Europe, so his absence with a fractured arm is a huge blow for Valverde’s team. Last time in the league, Barca returned to the top of the La Liga standings with a 4-2 win over Sevilla. The win was marred by the injury of Messi who is certain to miss Wednesday’s game and the El Clasico on Sunday against bitter rivals Real Madrid. More importantly, Luis Suarez returned to goalscoring form which will be important for Barca ahead of two big games coming up. In team news, Ousmane Dembele is likely to replace Messi in the side. Whilst Sergi Roberto could be in line for a starting place over Nelson Semedo at right back. Inter Milan are in high spirits following a last-gasp 1-0 victory over AC Milan in the Derby Della Madonnina. 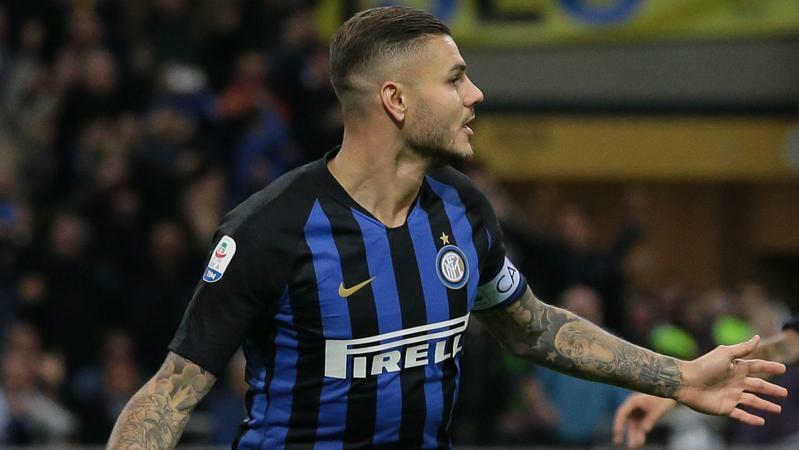 Captain Mauro Icardi’s stoppage-time header was the difference maker as the Nerazzurri secured derby day bragging rights. More importantly, Inter is now on a winning streak of seven games in all competitions, ideal ahead of the test of Barcelona. Luciano Spalletti’s side has shown plenty of fighting spirit in the Champions League this season, coming from a goal behind in both games against Tottenham and PSG to register all three points. Having not been in the Champions League since the 11/12 season Inter fans will be relishing their moment in the spotlight and will be hoping that their team can deliver in Spain. In team news, Belgian midfielder Radja Nainggolan will not take part after injuring his ankle with a clash with Lucas Biglia in the derby. Croatian midfielders Ivan Perisic and Marcelo Brozovic also picked up knocks on Sunday evening, but are expected to recover in time for the game. It certainly promises to be one to Barcelona take on Inter Milan. You can watch all the action via beIN SPORTS CONNECT. Juventus 2-1 Florentina - Live!